In the past, Crewe won awards for having the best fish and chips in the United Kingdom. Considering the central location of Crewe, that has to be regarded as an achievement. The location of the twelve-platform railway station in the middle of the country was more predictable. If men have forgotten loyal wives so they can have hanky panky in Chester, some men have abandoned women for Crewe. The town is a paradise for train spotters. The good transport links would have attracted Rolls Royce, the company that helped define identities for the rich and famous. 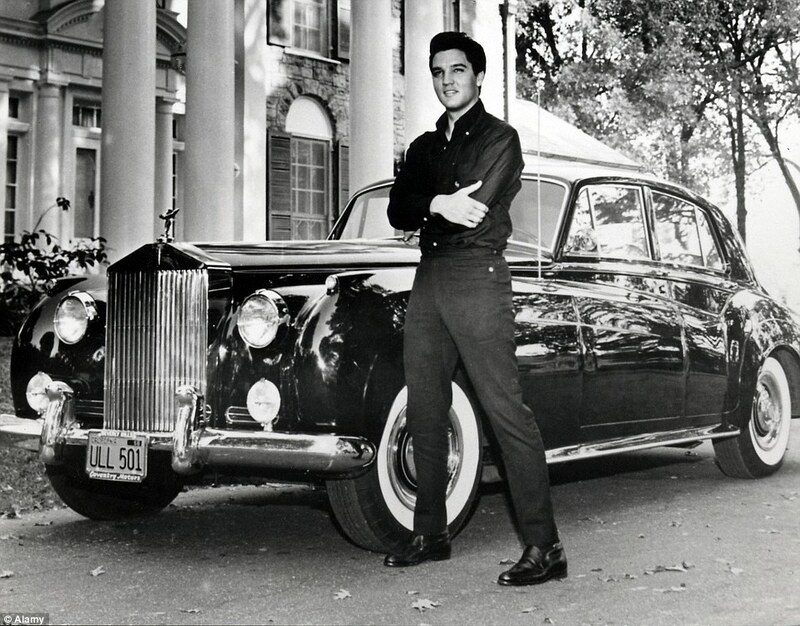 Elvis Presley posed as a proud owner outside Graceland and next to his black Rolls Royce. The simple myth is that Rolls Royce left Crewe to become part of BMW and a factory that employed 10,000 people disappeared. That happened but now Bentley make cars for famous footballers, and the Crewe factory employs 3,500 workers. 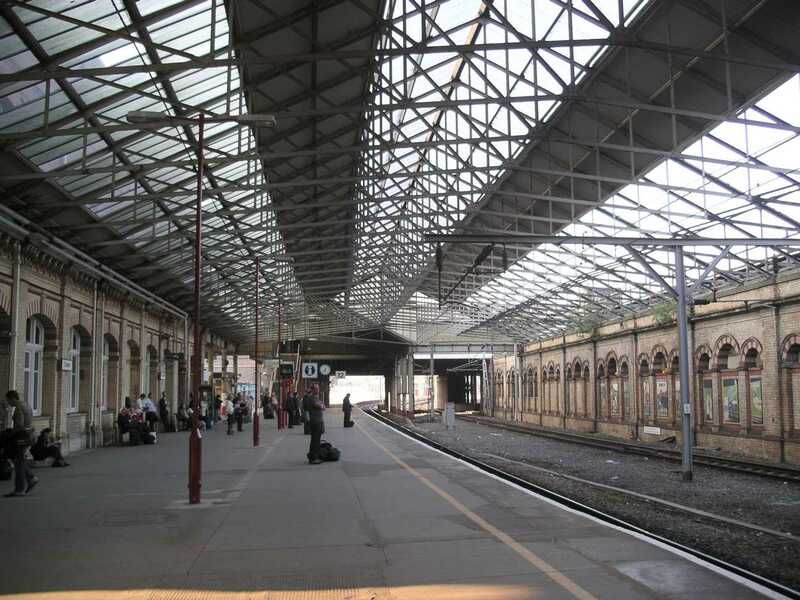 The railway station provides a direct link to Liverpool, London and Manchester but despite the twelve operational platforms the number of railway workers has declined from over 20,000 to less than a thousand. Considering the decline of local industry, the mystery is how Dario Grady became the longest serving manager in English football. At Crewe Alexandra, Grady has nurtured an impressive collection of footballers. Rob Jones and Danny Murphy moved to Liverpool Football Club. After he finished paying professional football Neil Lennon sought to improve ecclesiastical harmony in Glasgow. The people of Crewe have a reputation for being dour. Their sense of humour may appeal to Zen Buddhists but is beyond many. The central location must encourage insularity. Although the town has an obvious working class presence, the surrounding Cheshire countryside means the local MP is Conservative. When not in the House of Commons, Edward Timpson runs marathons, plays football and smiles a lot. A conceptual thinker, though, he is not. The post austerity remodelling of demand sustaining capitalism will have to emerge from somewhere other than Crewe. Warrior Timpson has opposed his own party over the Bingo Tax and he has fought for the continued existence of the sorting office in Weston Road. Phew. The fertile countryside around Crewe is interrupted by pleasant towns. Northwich is failed Chester but fine. Nantwich, only seven miles away, is picturesque and a perfect heritage location. The pubs in Crewe town centre are just the place for a final pint before suicide but the Cheese Hall has good real ale and cheap food. The Lyceum Theatre also provides traditional fare. This season includes a variety show of wartime comedy. It will interest those who remember the great Scouse comic Tommy Handley. The Town Hall may be ignored by train spotters but it has merit. Somehow it mixes European influences but insists on no nonsense Northern practicality. The crime figures for Crewe are above average but not at city level, and the figures are dominated by anti-social behaviour. The Asda car park had 23 incidents in January alone and the rumour is that George A Romero will visit. Next week, an old Viking meets the relatives, Crosby. Howard Jackson has had three books published by Red Rattle Books. His 11,000 mile journey around Brazil is described in Innocent Mosquitoes. His next book is a compilation of horror stories and is called Nightmares Ahead. It will be available in Spring 2015. Posted in Bentley, Cheese Hall pub, Crewe, Crewe Alexandra, Danny Murphy, Dario Grady, Elvis Presley, George A Romero, Graceland, Nantwich, Railways, Rolls Royce, Train Spotters, Zen humour and tagged Britain, music, politics, travel, UK history on March 27, 2015 by Howard Jackson. Dickens understood that authentic smiles distinguish the sinister from the sincere and the flawed from the steadfast. Tory Chancellor, George Osborne, is devious rather than upright. In his budget he gave a grant of £580,000 to Colne to refurbish the local theatre. Osborne is generous to Tory constituencies. Colne has a hippie reputation and is sneered at elsewhere in East Lancashire but shares the same Tory MP. The theatre was known as the Municipal Hall but is now called the Muni. The Osborne largesse may be coincidental but it feels like Northern history is being rewritten. Colne Municipal Hall was, and the Muni is, the main venue in the annual Colne Rhythm and Blues Festival. Although the Festival has been voted the best Blues Festival in Europe, the more famous blues performers have appeared outside the Festival. Apart from regular visits to the Festival, I have also seen, in Colne, Bobby Bland, Irma Thomas, Albert King, Corey Harris and others. In the decent Italian restaurant, Carlos, I sat at a table next to Otis Clay. I observed a great soul singer relax in a Lancashire mill town. Located in the valleys of East Lancashire, the town is close to good hill walking. In Central Mexico volcanoes can be seen from every city. Boulesworth Hill does not compare but Colne was the first Lancashire town to win Walkers Are Welcome status. Wycoller Hall is one of the highlights on the nearby 45 mile Pendle Way. Wycoller was the model for Fearndean Manor in the essential Jane Eyre. The Brontes lived just across the border in the picturesque Yorkshire village of Haworth. The ruin of their home is also a feature of a fine walk. 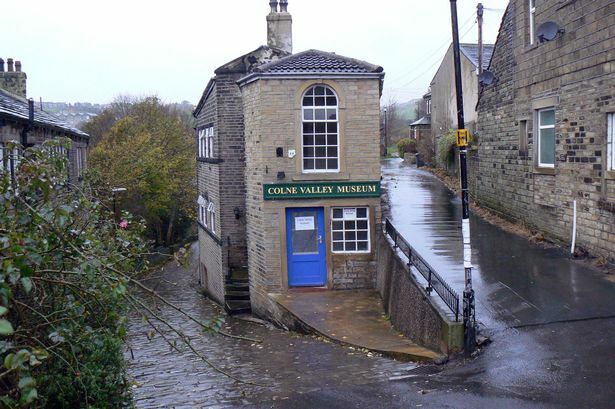 In the 70s, Colne was listed in a guide to alternative Britain. Despite the interest of George Osborne, the hippie influence remains. Most shoppers who visit the town are interested in the factory outlet, Boundary Mill, but there is no shortage of New Age shops and incense and crystal balls. A tourist guide describes Jim’s Vegetarian as hippie and bohemian. It has a fine wood burning stove. Chronic Daze is devoted to ‘smoking and tobacco paraphernalia’, which must have made the police suspicious. But in January 2015 there was only one arrest for a drug offence in Colne, so Mr Daze must be an innocent tobacconist. Kelly Marie, the local medium and ‘psychic messenger’, avoids ambiguity. She provides an ‘angelic welcome’ to all. Unemployment in East Lancashire is below the UK average. The term Enterprise Zone is often oxymoronic but the East Lancashire Enterprise Estate has attracted 27 businesses. In 1891 there were 31 cotton mills in Colne and a population of 26,000. By 1971 and just before the hippies arrived, the population had fallen to 19,000. It is the same today. Wallace Hartley was the bandleader on the Titanic. Born in Colne, he would have known the gritstone of the Pennines. Hartley inspires because his band continued to play when facing certain death. In the classic film about the Titanic disaster, A Night To Remember, Hartley lost his gritty Lancashire accent and became a Cockney. Ah, well. Posted in A Night To Remember, Albert King, Bobby Bland, Colne Lancashire, Colne Muni Theatre, Colne Rhythm and Blues Festival, Corey Harris, Elvis Presley, George Osborne, Irma Thomas, Jim's Vegetarian Restaurant, Otis Clay, Psychic Mediums, Rolls Royce, Titanic Film and tagged Britain, literature, soul music, travel, UK history on March 20, 2015 by Howard Jackson.